One of the greatest challenges that managers face is effectively delegating and distributing the workload. Many try to do too much themselves. Some struggle to relinquish control. 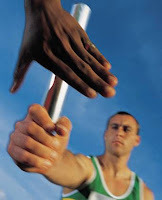 Others try to delegate but provide inadequate direction and oversight. In surveying employees over the years, one of the more common complaints relates to poor delegation of responsibilities. Delegation is critical to your firm's financial success. We don't often hear the term in our industry, but other professional services stress the value of leverage. This refers to the mix of junior, mid-level, and senior staff in your firm. Having the right mix of staff (and corresponding billing rates) for the work being performed is critical to being optimally profitable. But having the right mix is only half the battle; you also have to effectively delegate and distribute the work. Set clear, realistic goals. Make sure that the expectations of both parties are clear and essentially the same. Allow the subordinate to provide input into what's reasonable in terms of level of effort and schedule. Communicate the assignment thoroughly and clearly. See that the subordinate understands both the specifics of the assignment and how it fits into the overall project. Ask for confirmation that your instructions are properly comprehended. Define the "rules of engagement." In addition to providing instructions for completing the task itself, you should communicate the expectations regarding how the subordinate will work with the team. Clarify his or her responsibilities to others, including yourself. This includes communication, workflow, schedule milestones, quality requirements, reviews, and collaborative activities. Encourage empowerment. The subordinate should recognize where he or she is empowered to make decisions and take initiative, and be encouraged to do so. Resist the temptation to make all the decisions, especially with regards to personal preferences or noncritical matters. This stifles learning and professional growth, and limits the subordinate's value to the team. But gradually build trust. When delegating to someone you have limited experience working with, increase authority and responsibility gradually until his or her trustworthiness has been established. While empowerment is encouraged, you don't want to set this individual up for failure. Allow the subordinate to work out some problems. When difficulties arise, encourage the subordinate to take the initiative in defining a solution. Don't be too quick to give the answer. Instead ask questions that lead to the solution. This kind of investment in the subordinate's development will pay off in greater reliability and independence down the road. Provide ongoing feedback. Stay involved with delegated tasks, providing regular updates, offering guidance and encouragement, tracking progress, and facilitating coordination between team members. Provide real-time coaching when appropriate. Failure to provide adequate oversight while the task is being performed is perhaps the greatest source of problems in delegation. Don't expect the results to equal what you could have done. This is a significant obstacle to effective delegation—managers who prefer to do the work because they believe they can do it better. You probably can do it better, but at too high a cost in terms of billing rate and opportunity cost. Delegation often requires "satisficing," meaning achieving the necessary result but falling short of perfection. Remember, the gap will close over time. Provide positive reinforcement. The best way to motivate better performance is to give positive reinforcement in appropriate measure. Studies suggest that praise should exceed criticism by at least a 4:1 ratio, and criticism should always be offered in a constructive manner.